Specs: 3 Lifts: 1 quad, 2 surface. Uphill capacity: 1600/hr. Terrain Mix: 25-50-25. Season: usually December to March. Night skiing 7 days. Rentals & Lessons. Annual Snowfall: 150″. The SKInny: Town tow run by Sioux Falls Parks & Rec in combination with a non-profit corporation. Great recreational outlet for the kids of Sioux Falls. Ideal for learning; also has some terrain park stuff. Nice little operation with full-fledged grooming, lodge, etc. We always recommend supporting these places. Specs: Summit elevation: 7000′; Base elevation: 6200′. 4 Lifts: 1 triple, 2 doubles, 1 mitey-mite. Uphill capacity: 2300/hr. Terrain Mix: 40-40-20. Longest Run: 5280′. Season: usually early December to late March, Wed-Sun. Night skiing Fri & Sat. Rentals & Lessons. Annual Snowfall: 150″. Snowmaking: 30%. Update: 2008: Union Resort LLC and a group of local Black Hills businessmen bought the resort and renamed it Mystic Miner at Deer Mountain. Update: 2017: Mystic Miner/Deer Mountain sold at auction by Lawrence County Sheriff, reportedly to Milan Investment Club LLC. The SKInny: The Black Hills “other” ski area, Deer Mountain is a bit of a throwback. Whatever you call it, skiers agree that it is a top quality experience. Lifts tend to crawl, lots of kids, but there is also plenty of room. Some off-piste stuff. Wanderers will be ok, hotshots too. The real target is beginners and intermediates…let’s hope it reopens, not likely until at least 2019. Specs: Summit elevation: 7052′; Base elevation: 5900′. 5 Lifts: 2 quads, 2 triples, 1 double. Uphill capacity: 6500/hr. Terrain Mix: 20-70-10. Longest Run: 10,560′. Season: usually late November to early April. Rentals & Lessons. Annual Snowfall: 150″. Snowmaking: 60%. The SKInny: Biggest ski area between New York and the Rockies, but not a heck of a lot of challenge. Novices and developing intermediates will love Terry Peak, and rightly so. Wanderers will be ok, but the hotshot will be a bit bored. Beginners will do fine. Approaches and scenery — as well as the overall skiing — is excellent. 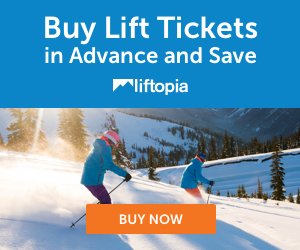 Liftlines can get long on weekends. All in all, Terry Peak is the best ski area on the prairie. Or the edge of the prairie, depending on your geological point of view.